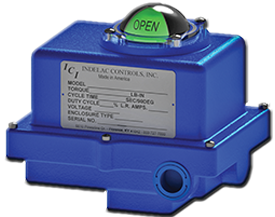 Earth Day: Why it Matters | Indelac Controls, Inc.
Over the years and across the globe, Earth Day has become one of the most widely celebrated environmental events. The day is about appreciating the uniqueness of our planet and the phenomenal biodiversity it offers to us. This year Earth Day will be celebrated on April 22nd, 2015. On this day people all over the country, and globe, will be participating in events that ensure our globe is kept sustainable and our environment is clean. Actions such as planting trees and saplings, removing and collecting garbage, encouraging recycling, cleaning roads, cleaning up parks and streams, and even educating others are things that occur on this very day. 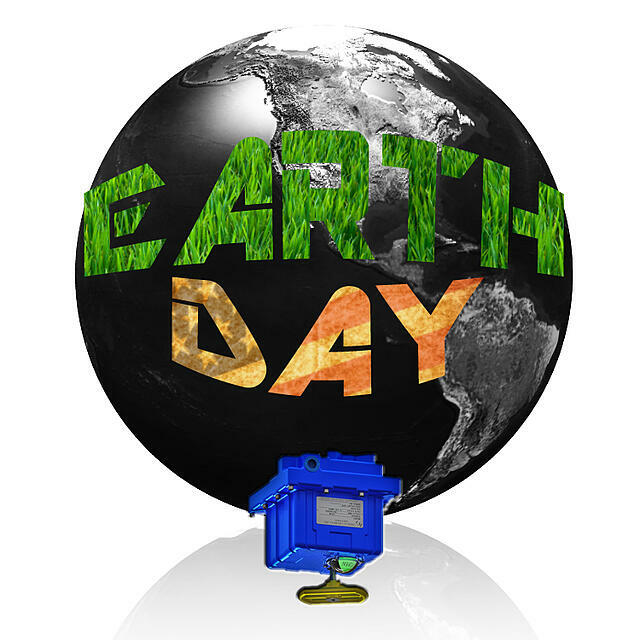 In the past Earth Day has gained a great deal of significance around the globe. More than 1 billion people participate in Earth Day activities and actions each year, making Earth Day the largest civic observance in the world. Since Earth Day has been increasing in awareness, policy agreements and acts have fallen into place. The Clean Water Act, Clean Air Act, Endangered Species Act, and many others have come as a result of this astonishing event. Although it may not seem practical, even the businesses such as Indelac are taking part in Earth Day or going green activities year round. Indelac is avid in recycling, demonstrating a commitment to the principles of sustainability. These principles include taking responsibility for the social well-being of employees and the community as a whole, achieving economic benefits, and practicing environmental stewardship. If more businesses and industries increase awareness for environmental sustainability we can make a huge difference, not only on Earth Day but year round as well. Indelac has created a cross-functional team that reviews and implements continuous improvement suggestions from management and staff. The team strives to implement Lean, Green and Clean recommendations and identify new ideas in a continual improvement cycle. A few months ago it was inevitable that the Indelac production area was in need of some changes. We began by observing the production area assigned to each employee and evaluating what we could do to incorporate a lean manufacturing mindset. Before we at Indelac began incorporating our lean initiative, our assemblers often displayed unorganized, yet still productive, workstations. 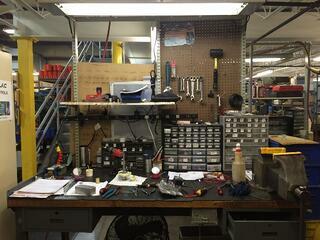 We decided that we needed to incorporate a lean manufacturing mentality while balancing organized workstations. We began simply by taking tools that were used often by assemblers and placing them on a pegboard where they could easily be used, reused, and replaced. Our philosophy behind the change was that small changes overtime would lead to a greater and leaner manufacturing approved workspace. 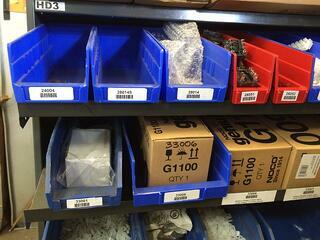 Another step we at Indelac have accomplished in lean manufacturing is the aspect of inventory control. Recently, we have implemented ways to better keep track of the inventory of our parts and exactly where they are located. We initiated a barcoding system so that all of our parts have a barcode in the system and can easily be located as well as quantitated. The organization bins that hold each part also have matching barcodes for easy use and recognition for assembling employees. This has allowed for fewer discrepancies about part quantity or location. For the office, we began evaluating the way we handled international sales. We then created a flow chart that demonstrated out standard procedures for international sales that was easy for our sales team to address and understand. In general, this implementation allowed for readily available documentation and a decreased lead time. This also reduced waste as well as added value to our Indelac products and services. This flow chart also allows the entire Indelac team and its international customers the entire procedure international sales go through and how they are executed. It is also important to mention that for all its lean efforts Indelac was rewarded with the KPPC 2013 Environmental Sustainability Award: see more about this here. Your role in improving the Earth and our environment is just as important as anyone else’s. The same goes for your workplace- encourage your fellow co-workers to think about the environment. Also be ensuring them that a happier workplace is one that is more productive and creative is a big step. Computers and technology are often necessary to get the job done. This efficient and necessary use of technology, however, comes at a cost. To help conserve energy you should always turn your computer to sleep mode if you are going to be away for short periods of time. You should also turn your computer off when it will not be in use. The same goes for copy machines and printers. Using a printer is another necessity of the workplace. However, there are ways to help reduce waste and save energy when using a printer. When possible always print in black and white as well as double sided. You should also recycle ink and toner cartridges. You can also shred old paper to use as packing material. If your company uses a lot of boxes, you should try to recycle and reuse them. Recycle paper products such as copy paper, envelopes, magazines, soda cans, plastic bottles, aluminum foil, plastic bags, and cardboard boxes. Businesses are always using these products and it is crucial that more companies start a recycling program, just as Indelac does. Pack your lunch instead of ordering out every day. This ensures a healthier lifestyle as well as a healthier environment. If you pack your lunch in a paper or plastic bag be sure to recycle it. If you’re an avid morning coffee drinker, use a cup or mug that can be washed and reused instead of one that has to be thrown away. Though these steps seem tedious, they really are beneficial to your business, your lifestyle, and our world. As businesses we need to set an example for others and come together not only on Earth Day, but also every day to promote a healthier and more environmentally friendly earth.